U.S. Army photo by 1st Lt. Ryan DeBooyU.S. 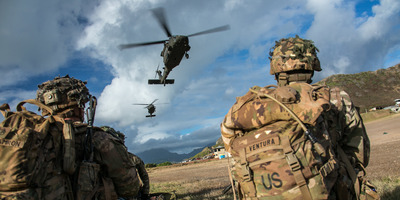 Army Soldiers assigned to Charlie Co., 1st Battalion, 27th Infantry Regiment ‘Wolfhounds’, 2nd Infantry Brigade Combat Team, 25th Infantry Division, wait for medical evacuation UH-60 Black Hawk helicopters during an air assault training mission on Marine Corps Base Hawaii, Kaneohe, Hawaii, Aug. 21, 2018. 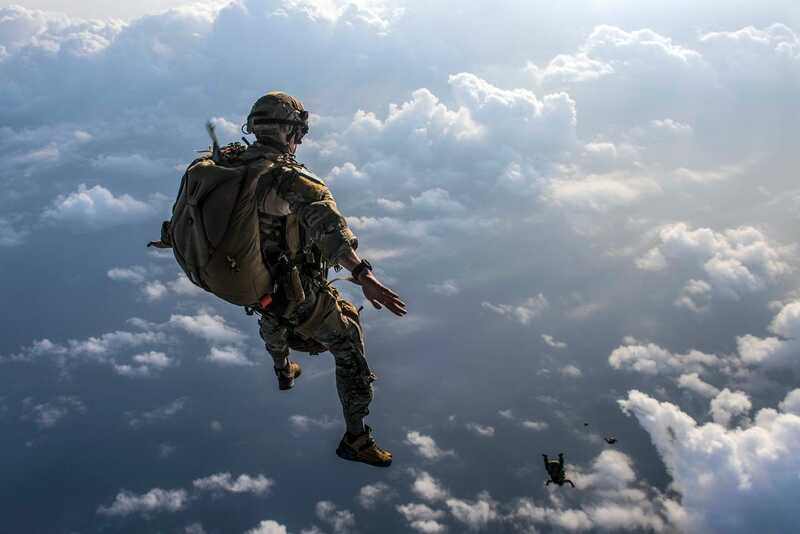 The US military posts hundreds of photos and videos every day from missions around the world. 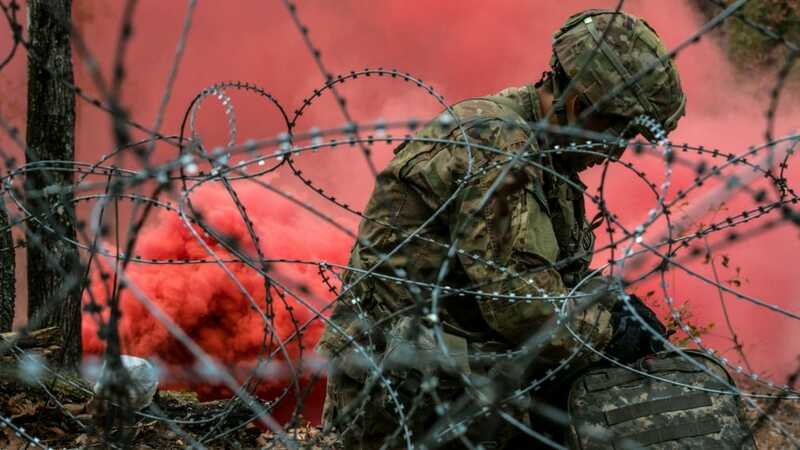 Business Insider selected some of the most compelling images taken in 2018 from across the Army, Navy, Marine Corps, Air Force, and Coast Guard. The US has the world’s most powerful military. 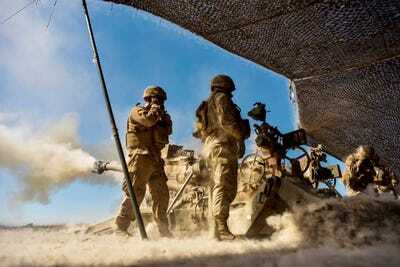 It also has a small army of talented photographers who showcase the military’s missions and training every day. 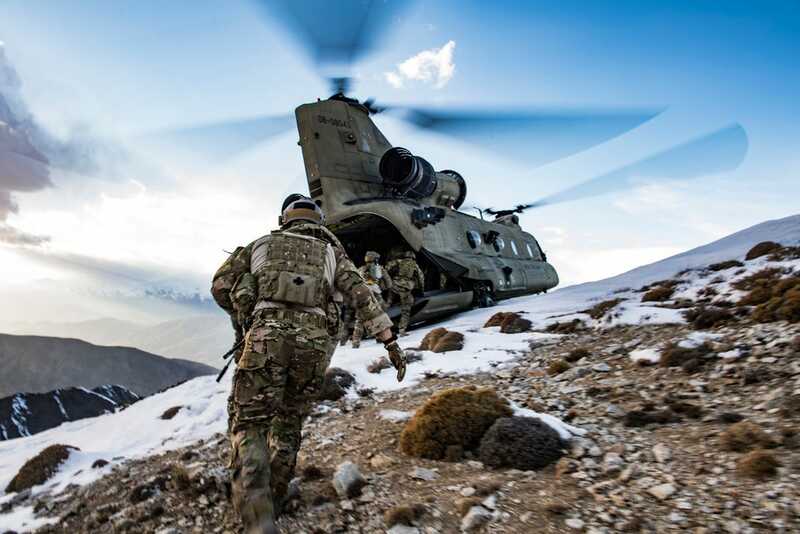 At home and around the world, the American armed forces defend US national interests, as well as global peace and security. US troops often put themselves in harm’s way in service to the nation, from fighting Taliban forces in Afghanistan to waging war against ISIS militants in Iraq and Syria, and sometimes they make the ultimate sacrifice. 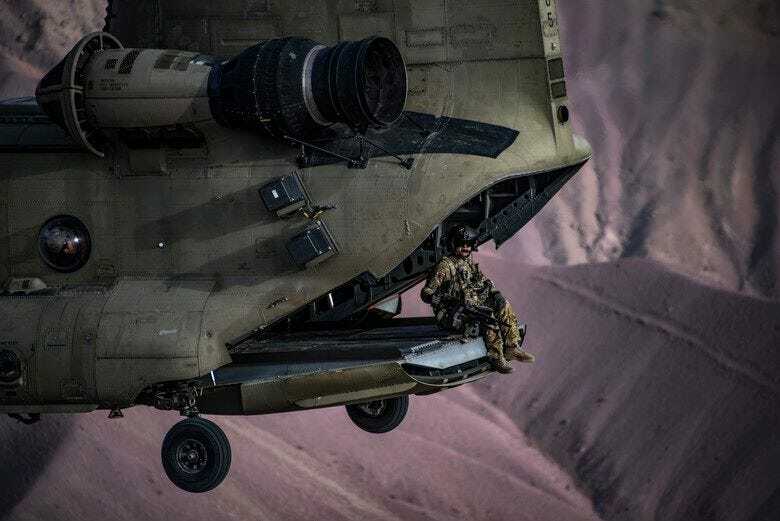 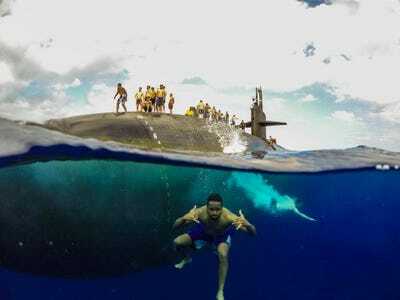 Business Insider selected 27 photos from the US military in 2018 that you won’t want to miss. 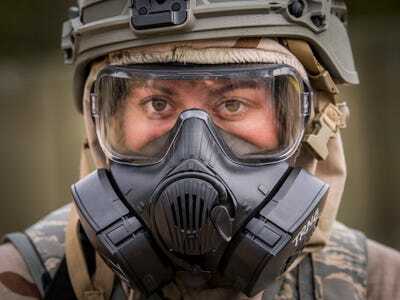 A U.S. Army combat medic assigned to the 82nd Airborne Division, Fort Bragg, N.C., readies his equipment before embarking on his final evaluation lane while competing for the Expert Field Medical Badge on Nov. 6, 2018. A southern black racer snake slithers across the rifle barrel held by junior Army National Guard sniper Pfc. 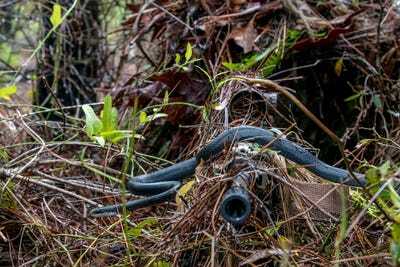 William Snyder as he practices woodland stalking in a camouflaged ghillie suit at Eglin Air Force Base on April 7, 2018. 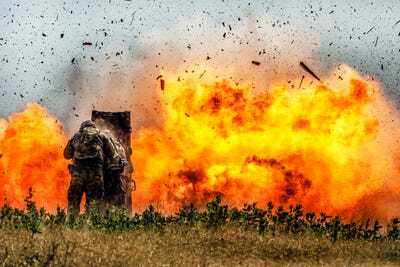 Army combat engineers assigned to the 2nd Armoured Brigade Combat Team, 1st Cavalry Division blast through a concrete wall during demolition training at Fort Hood, Texas on July 17, 2018. 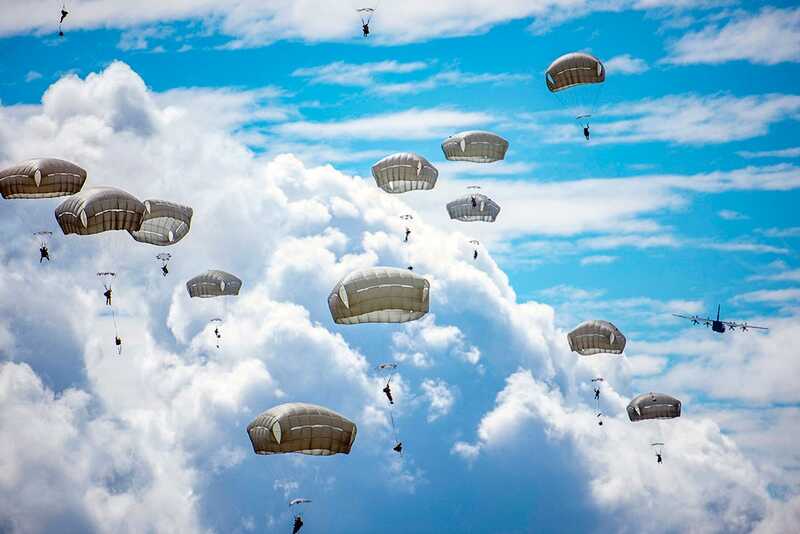 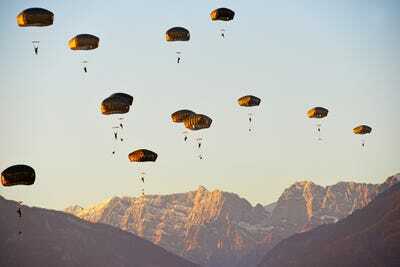 Paratroopers assigned to Army Alaska’s 4th Infantry Brigade Combat Team (Airborne), 25th Infantry Division descend toward Malemute Drop Zone at Joint Base Elmendorf-Richardson, Alaska, July 17, 2018. 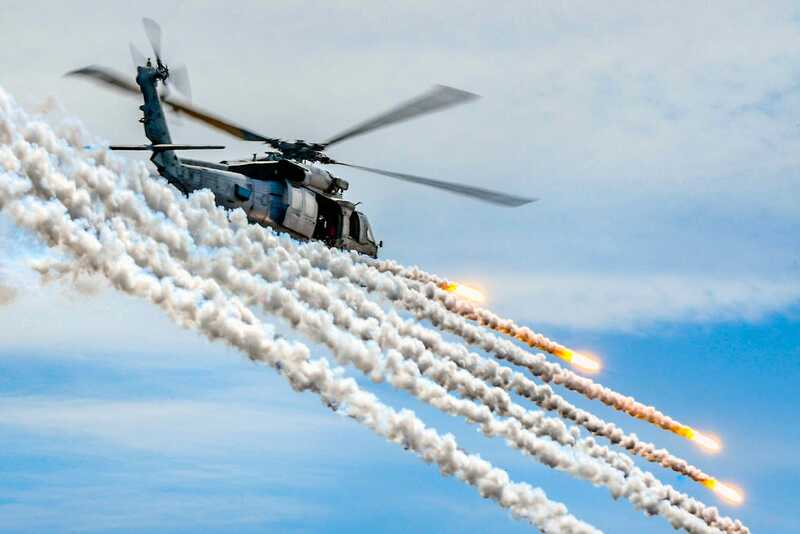 A Navy MH-60S Seahawk fires flares during an air power demonstration over the aircraft carrier USS Theodore Roosevelt in the Pacific Ocean on May 3, 2018. Airmen assigned to the 82nd Expeditionary Rescue Squadron and deployed in support of humanitarian aid and contingency operations in the Combined Joint Task Force-Horn of Africa area of responsibility perform a military free fall jump in Djibouti, April 17, 2018. 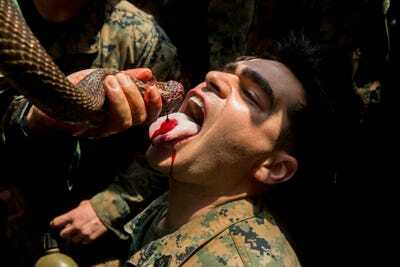 Marine Corps Cpls. Matthew Teutsch and Brett Norman participate in hand-to-hand and close quarters combat training at Camp Pendleton, California on Oct. 2, 2018. 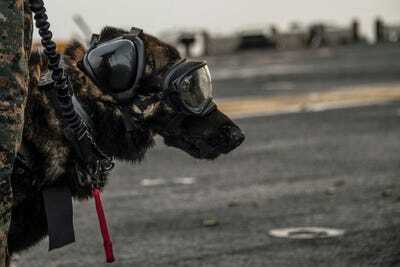 Spidey, a Marine Corps military working dog, waits with his handler during a live-fire exercise on the flight deck of the amphibious assault ship USS Iwo Jima in the Mediterranean Sea on March 4, 2018. 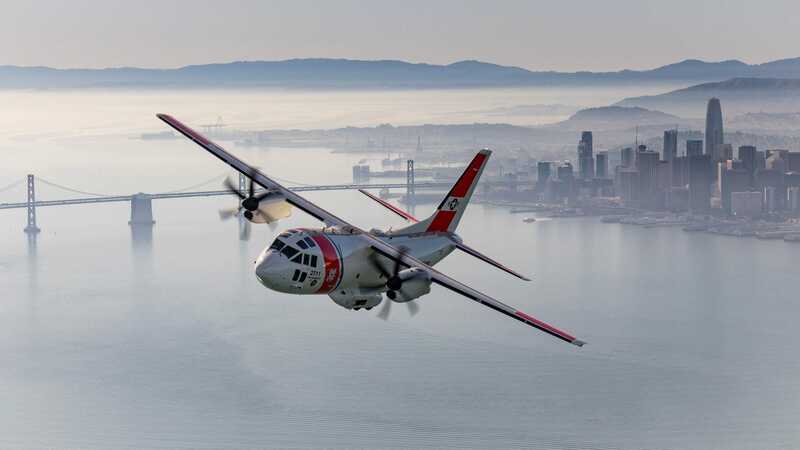 A Coast Guard C-27J Spartan crew, assigned to Coast Guard Air Station Sacramento, flies over San Francisco, California, during area of responsibility familiarization training, Monday on Feb. 6, 2018. 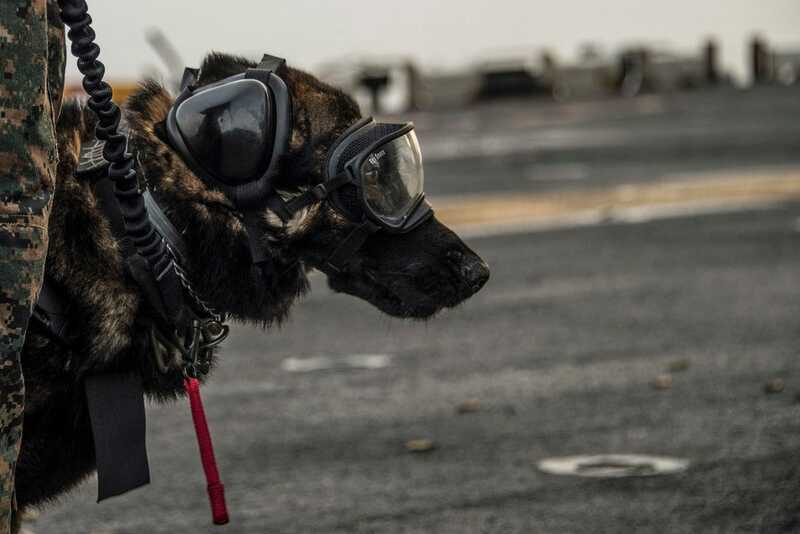 The aircraft is outfitted with weather radar and communications equipment capable of supporting transport and other Coast Guard missions. Air Force pararescuemen assigned to the 83rd Expeditionary Rescue Squadron work with members of Army Task Force Brawler, flying the CH-47F Chinook, during exfiltration after the completion of a training exercise at Bagram Airfield, Afghanistan on March 14, 2018. A U.S. Army Task Force Brawler CH-47F Chinook flight engineer sits on the ramp while conducting a training exercise with a Guardian Angel team assigned to the 83rd Expeditionary Rescue Squadron at Bagram Airfield, Afghanistan on March 26, 2018. 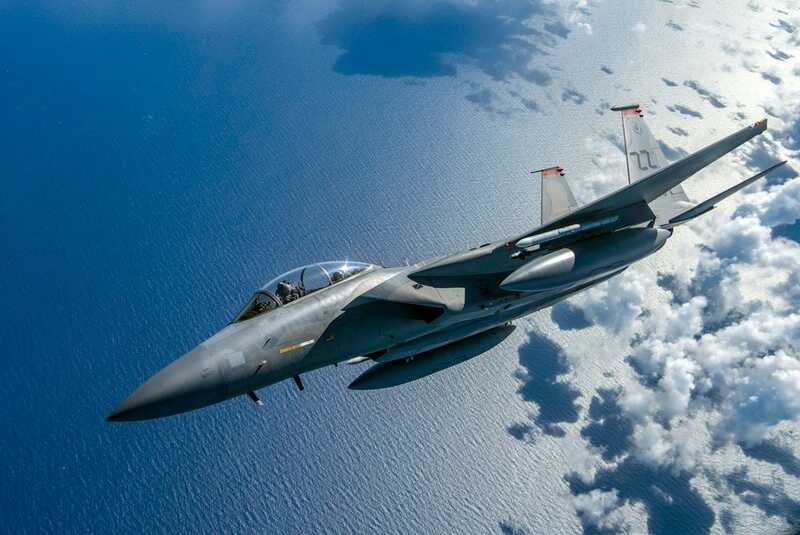 A U.S. Air Force F-15D Eagle flies above the Mariana Islands in support of exercise Valiant Shield on Sept. 18, 2018. Airman Amanda Danforth, 96th Security Forces Squadron, watches the horizon during an alarm phase of a chemical, biological, radiological, nuclear and explosive training exercise at Eglin Air Force Base, Florida on Feb. 1, 2018. 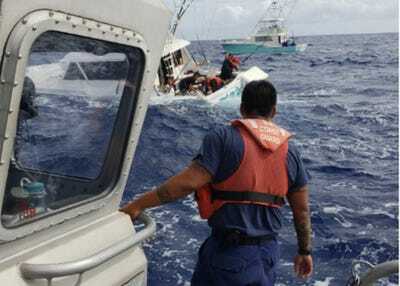 A U.S. Coast Guard Station Honolulu 45-foot Response Boat Medium crew responds to a sinking charter boat off Ewa Beach, Hawaii on Oct. 28, 2018. 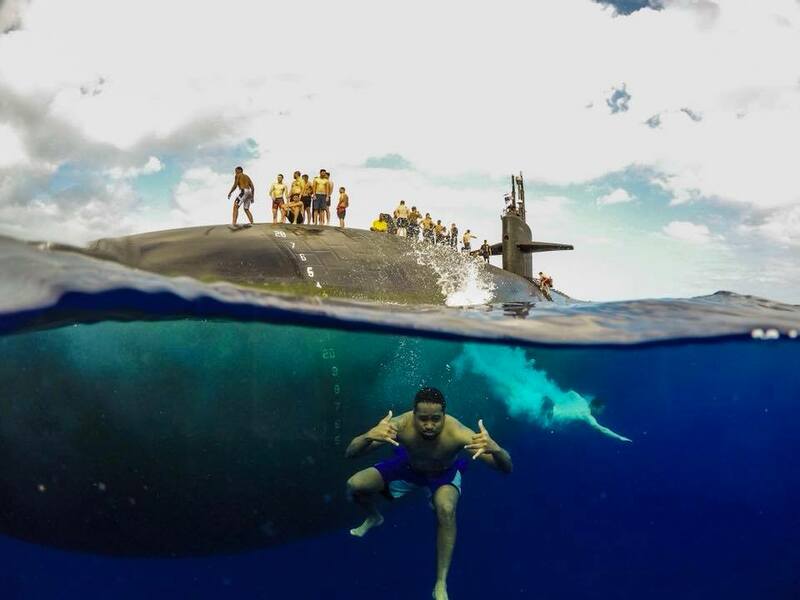 Sailors assigned to the Los Angeles-class submarine USS Olympia dive in during the Rim of the Pacific exercises in August 2018. Marines with 3rd Battalion, 11th Marine Regiment, 1st Marine Division fire an M777 Howitzer at known targets during training at Mount Bundey Training Area, Australia on August 9, 2018. 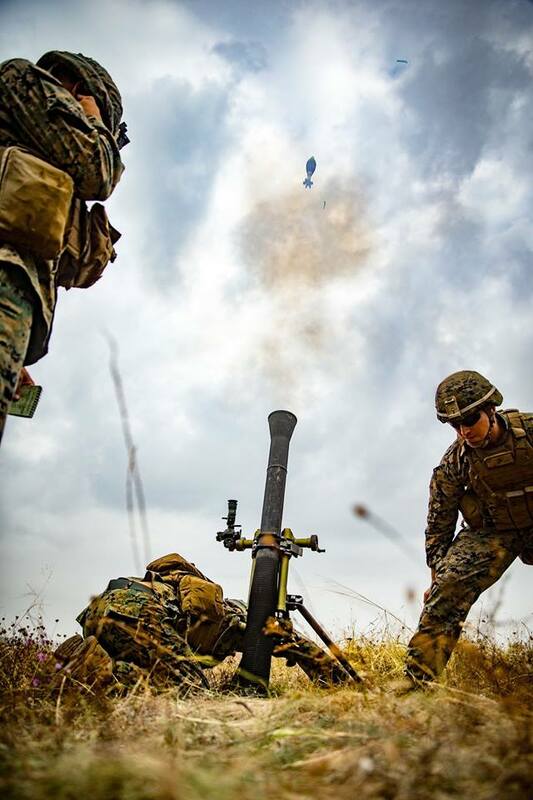 Marines with Black Sea Rotational Force 18.1 fire an 81mm mortar system during Exercise Platinum Eagle 18 at Babadag Training Area, Romania on Sept. 5, 2018. 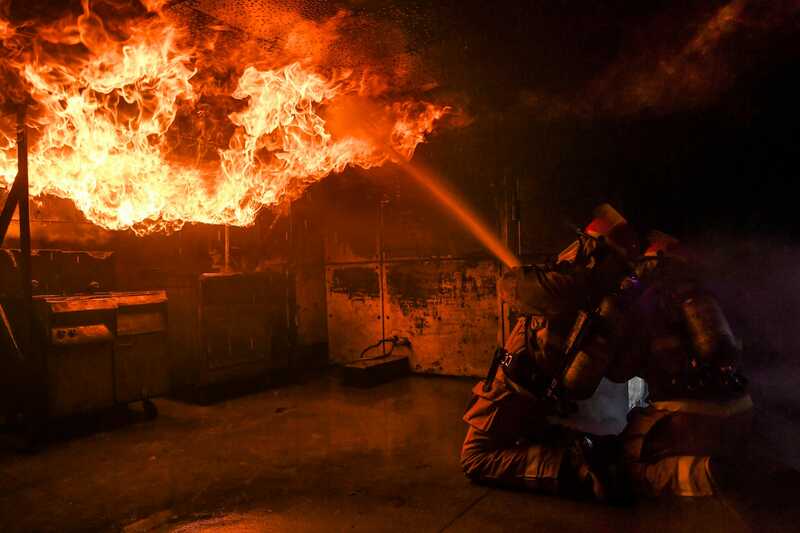 Sailors assigned to aircraft carrier USS Nimitz and Arleigh Burke-class destroyer USS Momsen practice firefighting skills and techniques by battling a simulated fire at the Bremerton International Emergency Services Training Center on Mar. 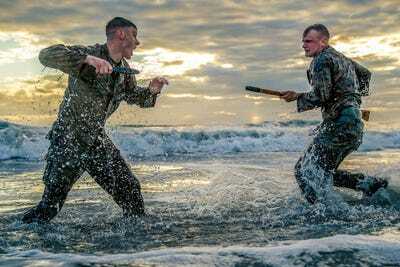 22, 2018. 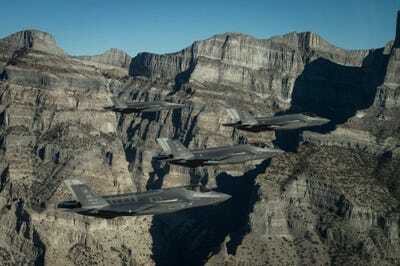 A formation of F-35 Lightning II stealth fighters from the 388th and 419th Fighter Wings stationed at Hill Air Force Base perform aerial maneuvers as part of a combat power exercise over Utah Test and Training Range on Nov. 19, 2018. U.S. Army Paratroopers assigned to the 173rd Brigade Support Battalion, 173rd Airborne Brigade, descend onto Juliet Drop Zone in Pordenone, Italy during an airborne operation from a US Air Force 86th Air Wing C-130 Hercules aircraft Jan. 18, 2018. 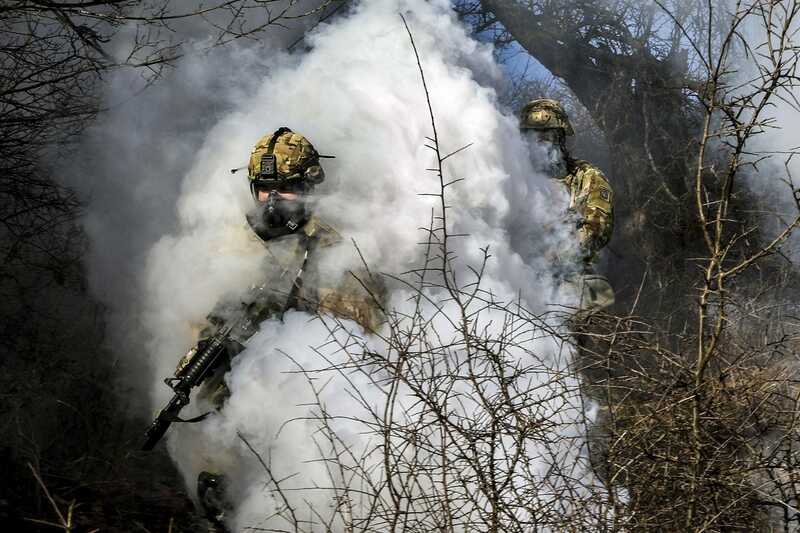 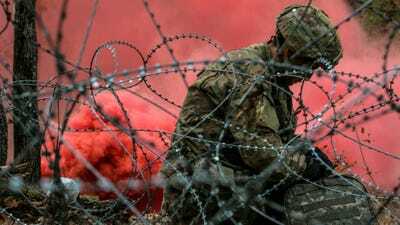 Soldiers push through smoke from a grenade during the ground tactical movement portion of the Operation Bowie Strike training exercise in Zhegoc, Kosovo on Jan. 19, 2018. 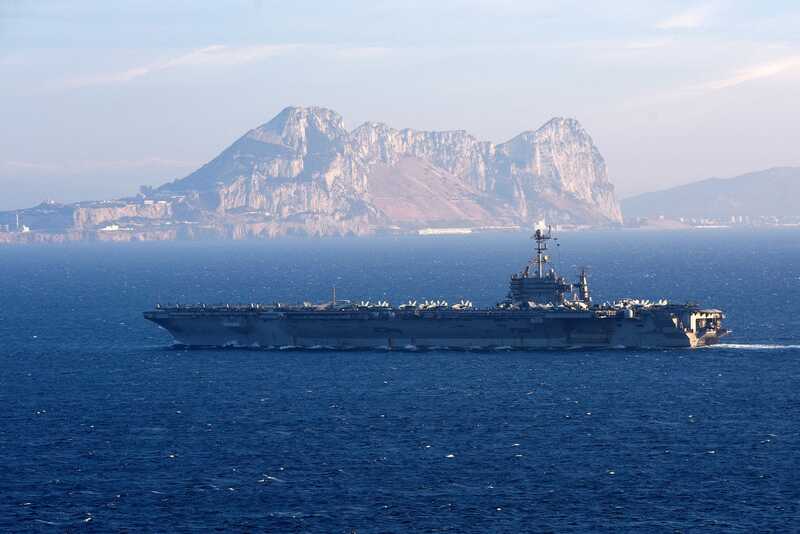 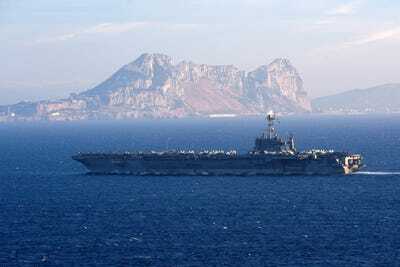 The aircraft carrier USS Harry S. Truman transits the Strait of Gibraltar on June 28, 2018. 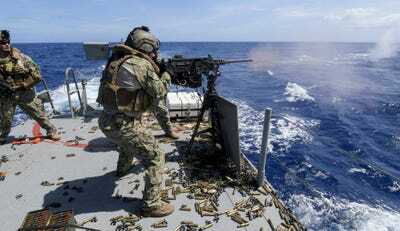 Gunner’s Mate 2nd Class Michael DeCesare, assigned to Coastal Riverine Squadron (CRS) 4, fires an M2 machine gun aboard a Mark VI patrol boat during a crew served weapons qualification in the Philippine Sea on April 12, 2018. 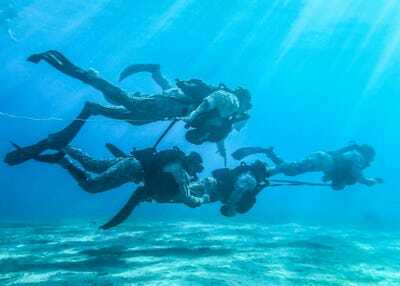 Marines with Maritime Raid Force, 26th Marine Expeditionary Unit, swim underwater during dive training in Aqaba, Jordan, July 8, 2018. 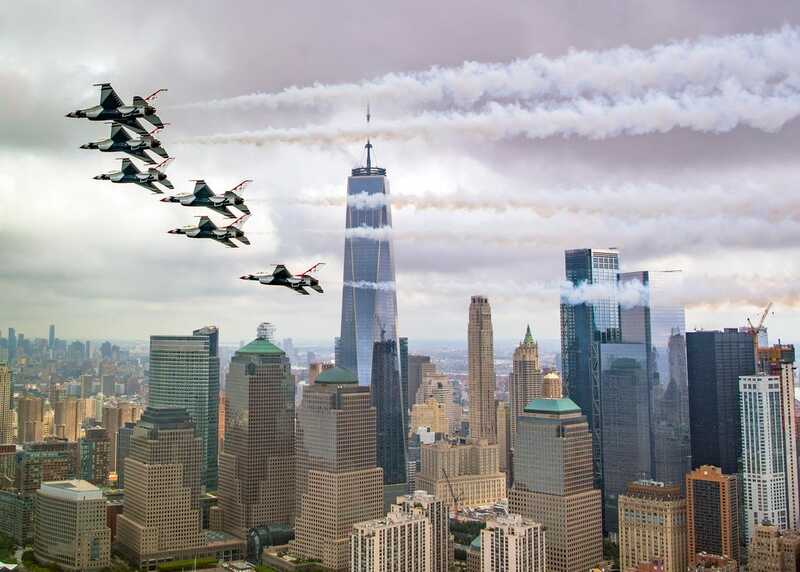 The Thunderbirds Delta formation performs a Pass in Review while flying past the Freedom Tower in New York on Sept. 17, 2018. 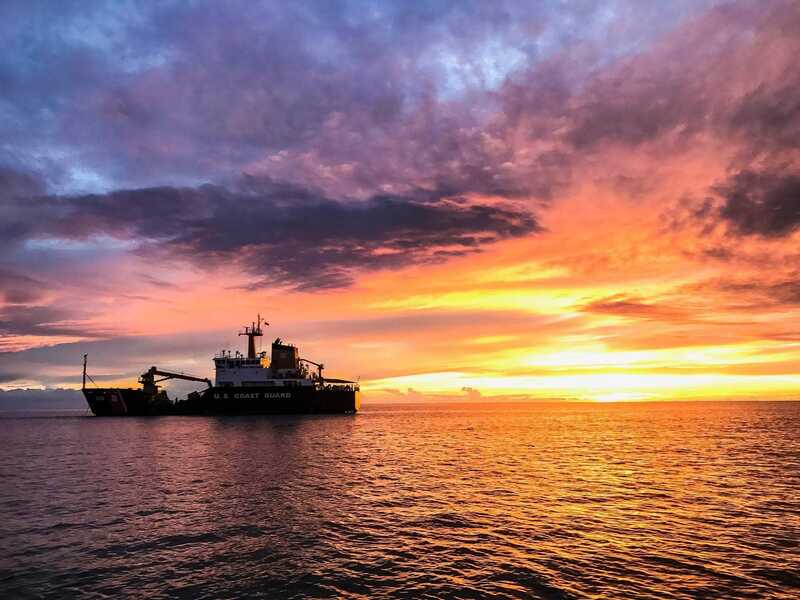 Coast Guard Cutter Cypress is equipped for navigation operations, as well as search and rescue, law enforcement, homeland security, pollution response, and domestic icebreaking missions.